As we’ve been studying the Book of Acts, many people have been asking me questions about the Holy Spirit. Over the years, I’ve had all sorts of questions like these, but I never had anyone to talk to about it. 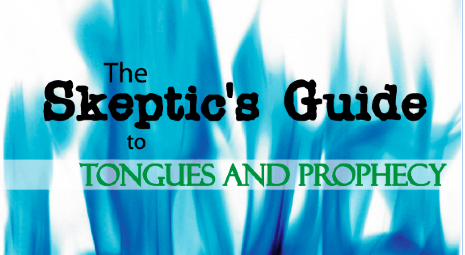 That’s why, after hearing the same questions over and over, I finally decided to throw it all into a free booklet called “Skeptics Guide To Tongues & Prophecy.” As a pdf, it should be able to open up on your phone, kindle or ipad. Lastly, if you want to hear an entire sermon series related to this topic, be sure to check out my series “Super-natural” from January-February, 2012. It’s a bit more “up to date” as far as my theology on the prophetic, etc. In the meantime, have fun! Grow in God. Imagine: How to Increase Your Happiness x's 7!